What Type of Fish Are in the Choptank River? The Choptank River extends from Maryland to Delaware, where it merges into the Chesapeake Bay. With a length of 68 miles, the Choptank is the longest river on the eastern coast. There are many different anchorages scattered throughout the river for people to station at while fishing, and many different types of fish swim the Choptank. The tributary streams of the Choptank basin serve as a nursery for game fish, and one of the most common is bass. There are many different bass species in various sizes in the Choptank River. They include rock, striped, smallmouth and largemouth bass. The Choptank River also has bluefish, which typically travel in large schools. They have a green blue body with a sturdily compressed build, relatively large heads and sharp, triangular-shaped teeth. Because bluefish are aggressive fighters and ferocious sight feeders, they are successful predators usually feeding on a wide variety of smaller fish and invertebrates. Spanish mackerel are relatively small fish found in the Choptank. 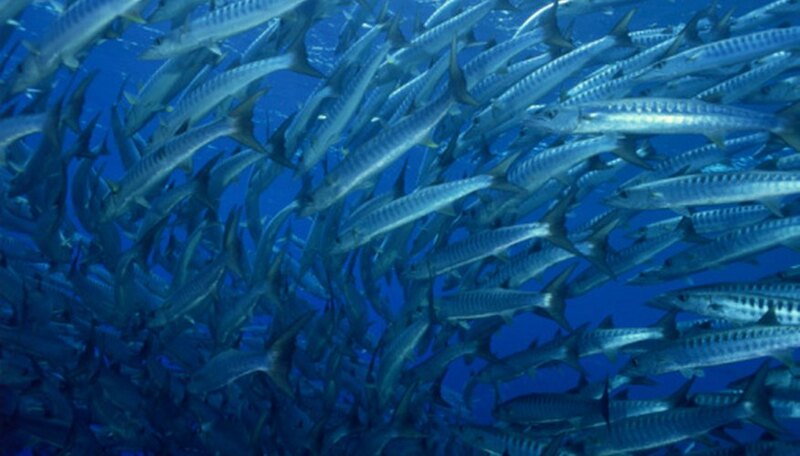 Spanish mackerels can be identified by their multiple colors. Their backs are green, and their sides are shaded with silver and irregular yellow spots mark the areas above and below the lateral line. Additionally, the front of their dorsal fins are black and the lateral line curves gracefully toward the base of the tail. Because they are typically small and usually inadequate fighters, Spanish mackerels are among the bottom of the food chain in the river. White perch are easy to spot in the Choptank due to their bright silver bodies that can be easily seen in water and distinguishes them from other fish in the river. Unlike the white bass, white perch are entirely silver and lack dark lines extending across the length of their bodies. Additionally, white perch have deep bodies, and sometimes the silver can be tinted with gray, green or dark brown on their sides or backs. Other fish found in the Choptank River include Atlantic croakers and weakfish and chain pickerel, a game fish. Heuberger, Brian. "What Type of Fish Are in the Choptank River?" Sciencing, https://sciencing.com/type-fish-choptank-river-8296493.html. 24 April 2017.